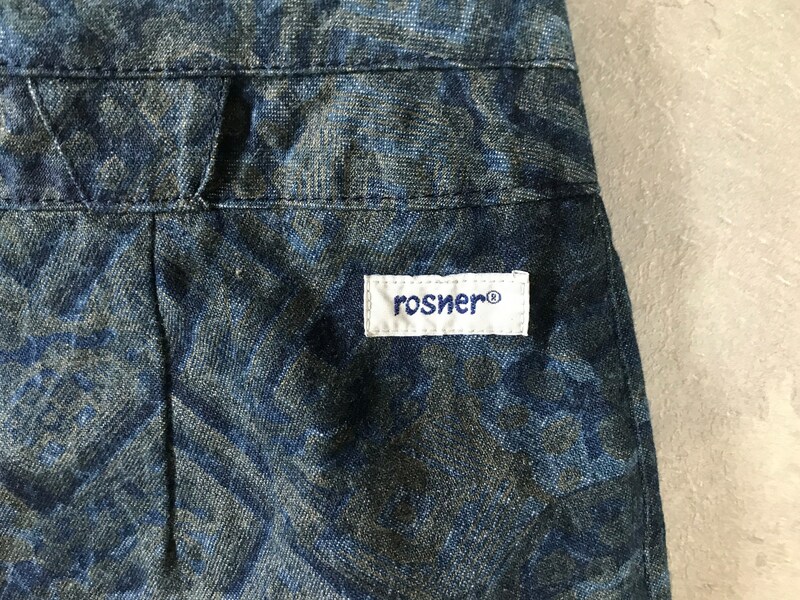 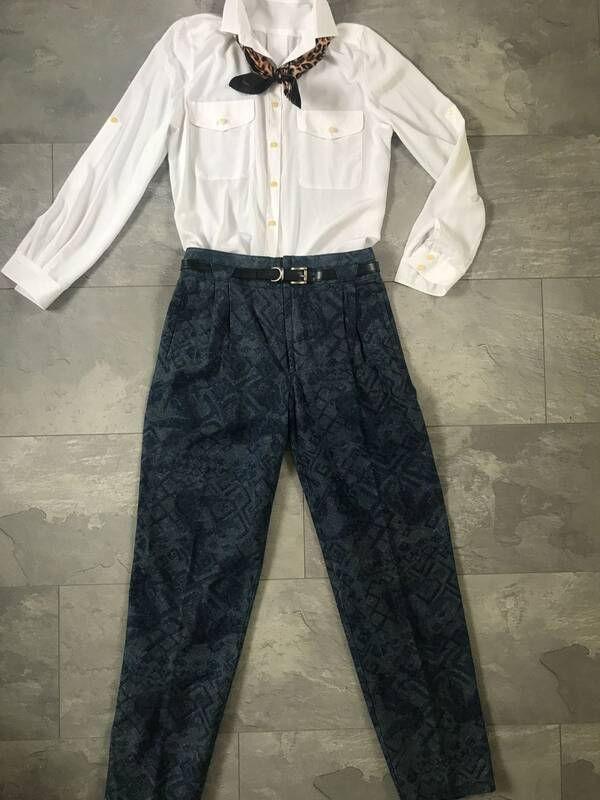 This is a vintage Rosner high waisted carrot jeans or trousers. 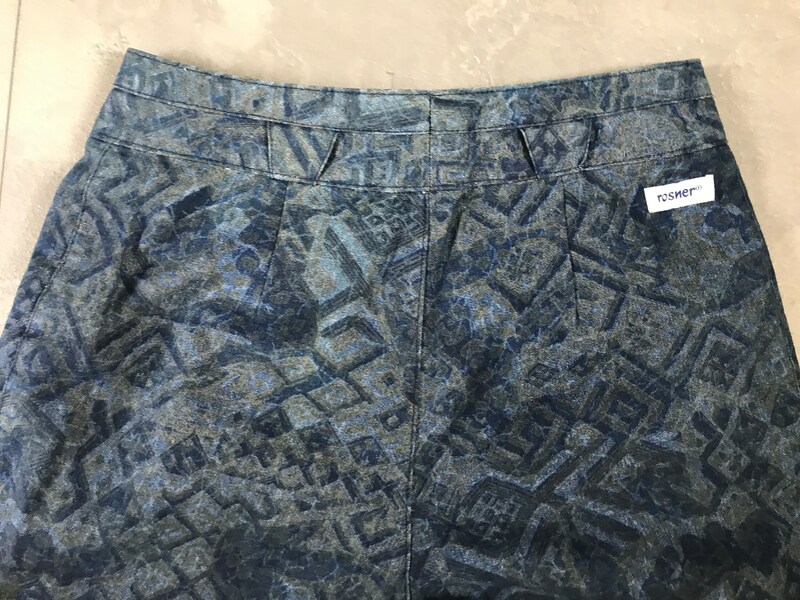 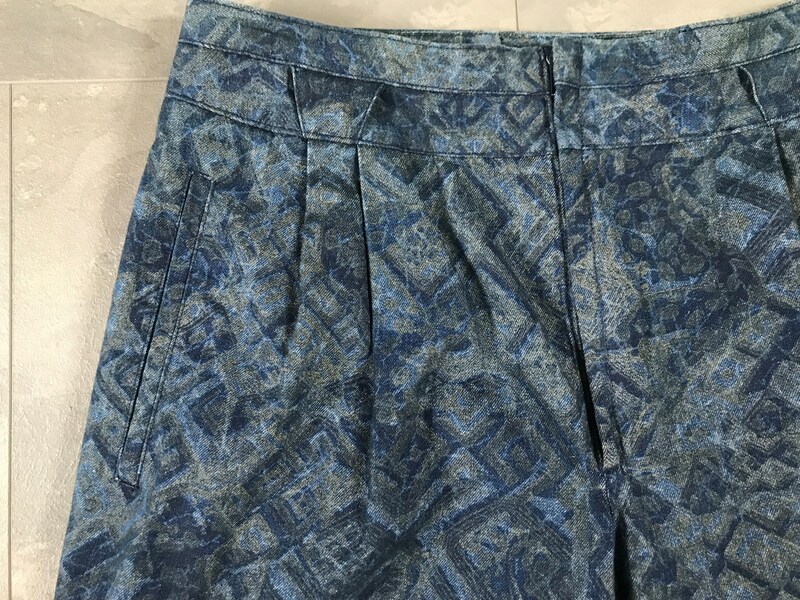 The fabric has several blue tones with a little gold. 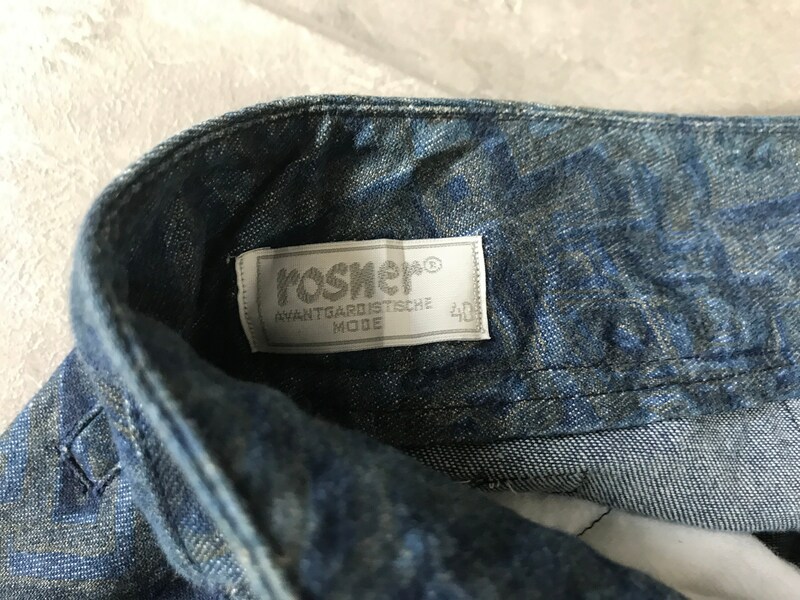 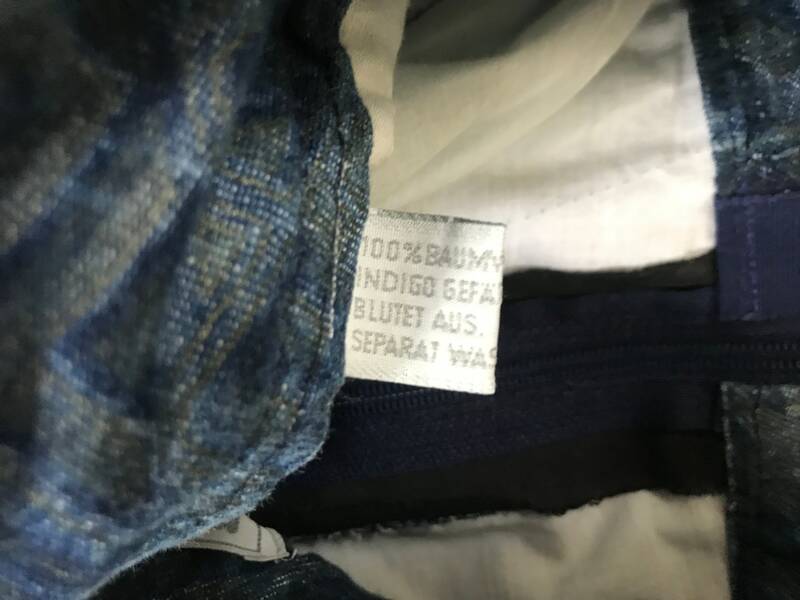 Size label says EUR40 but fits smaller: check the measurements. 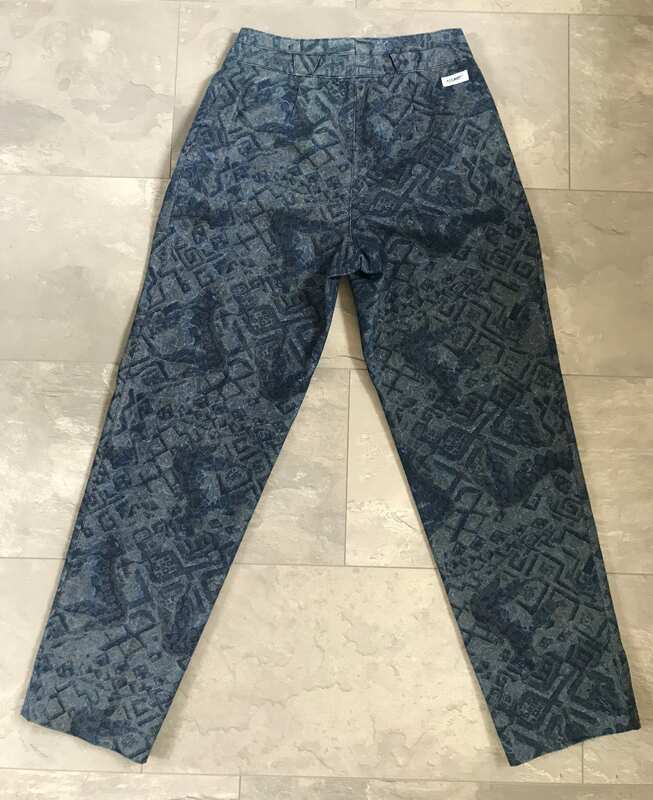 The trousers are carrot fit and is in a very good condition.